Three of this year’s biggest draws to Tel Aviv’s Pic.Nic music festival have withdrawn at the last minute in response to the Israeli military attack on a foreign aid flotilla that occurred last week. The attack left nine pro-Palestinian activists dead and has drawn a storm of criticism from around the world, though it is only the most recent offense to turn a growing list of high-profile artists against the idea of performing within the rogue nation’s borders. As we reported last month, Elvis Costello has recently cancelled gigs in Israel due to the “complexities of the continuing Israeli-Palestinian conflict,” and as AFP has recently reported, Gil Scott Heron and Carlos Santana share those sentiments. Pixies have cancelled their first-ever performance in Israel, citing "events beyond our control". Although the US band did not give a reason for the cancellation, organisers said it was linked to Israel's raid on a Gaza-bound aid flotilla last week. "The decision was not reached easily," the band said. "We all know well the Israeli fans have been waiting for this visit for far too long. We'd like to extend our deepest apologies to the fans but events beyond all our control have conspired against us." 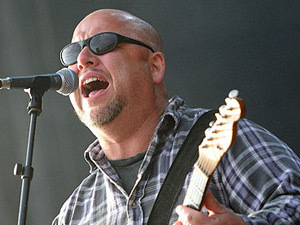 Pixies were due to perform on 9 June, headlining the second night of the Pic.Nic festival. They are not the first group to call off their appearance at Tel Aviv's Expo grounds. 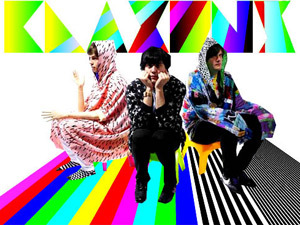 Both Klaxons and Gorillaz DJs pulled out last week, without giving reasons for their decision. Editorsand Israeli duo Carusella are still scheduled to perform, and English band Placebo went ahead with their show on Pic.Nic's first night (5 June). "It's important to [endorse] Israel these days," an Israeli journalist remarked in a pre-concert interview with Placebo. "I suppose so," joked frontman Brian Molko, with an awkward laugh, "You know, if you decide to go sailing." In the early hours of 31 May, Israeli commandos launched a raid on six ships carrying aid materials to Gaza. Nine pro-Palestinian activists were killed and dozens were injured in the melee, which took place in international waters, 40 miles from shore. Israeli prime minister Binyamin Netanyahu said the soldiers were defending themselves, but has opposed an international inquiry. 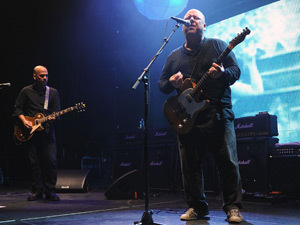 Even before the events of last week, Pixies were one of several western acts targeted by Israeli human rights activists advocating an artistic boycott of their country. "As much as some of us are huge fans and would love to hear your show, we won't cross the international picket line ... to come and see you," wrote the group Boycott Israel on 1 March. Singer Elvis Costello cancelled two gigs in Israel last month, calling it "a matter of instinct and conscience". Shuki Weiss, promoter of the Pic.Nic festival, called on Israeli authorities to "fight against those who are doing everything they can to prevent artists from performing in Israel". "We can only hope for better days, in which we will finally present the long-awaited visit of the Pixies in Israel," she said. Refunds for Wednesday's concert will be available. Despite the recent spate of cancellations, several high-profile performers have performed in Israel, including Metallica, Rihanna and Kool and the Gang. Acts such as Elton John and Rod Stewart are scheduled to play the country later this summer. U.S. alternative rock band Pixies has cancelled a concert in Tel Aviv this week and organizers say it's in protest over Israel's commando raid on a Gaza-bound aid flotilla in which nine activists died. of Pixies, performing in 2009 in New York City. The band's Tel Aviv promoter, Shuki Weiss, sent out a statement Sunday saying the band would cancel "with great regret." The group — comprised of Frank Black, Kim Deal, Joey Santiago and David Lovering — was slated to perform a single gig Wednesday as part of a five-day music festival in Tel Aviv. "We'd like to extend our deepest apologies to the fans, but events beyond all our control have conspired against us," stated the band, adding that all tickets would be fully refunded. "We can only hope for better days, in which we will finally present the long-awaited visit of the Pixies in Israel." While the group didn't specify the reason behind their sudden pullout, organizers of the festival say it is related to the May 31st flotilla raid. Two other acts — London punk band Klaxons and Gorillaz, a multi-member act fronted by Blur's Damon Albarn — also cancelled their appearances this week at the same festival, though neither act indicated why. On May 31, Israeli commandos conducted a pre-dawn raid on the six-ship flotilla, which happened in international waters more than 60 kilometres from shore. The move was widely condemned. Israeli Prime Minister Benjamin Netanyahu said the commandos were trying to defend themselves after being attacked by activists. The action by the Pixies comes in the wake of Elvis Costello's recent cancellation of a concert in Israel, objecting to the country's treatment of Palestinians. Costello's wife, Canadian jazz pianist Diana Krall, is still expected to perform in Israel this August. Other artists, including Rod Stewart and Elton John, are still planning to go ahead with their Israeli concerts this summer. 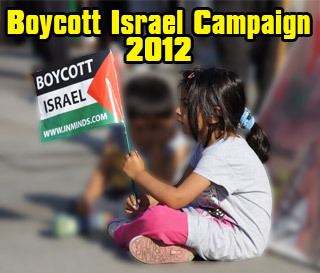 Even prior to the raid on the flotilla, many performers had been under pressure this year to boycott Israel. The Pixies were one of many artists targeted in an open letter posted March 1 by Israeli human rights activists urging them not to come to the Jewish state. "As much as some of us are huge fans and would love to hear your show, we won't cross the international picket line that is growing in numbers steadily nowadays to come and see you," the group Boycott! wrote. Once you use the word “terrorist” in Israel it’s open season on the rhetorical victim. So will we now start calling the supporters of BDS “terrorists” because they foment “cultural violence” on Israel? Perhaps we’ll even start a new coinage like “cultural genocide.” Yes, depriving Israelis of hearing Veronica and their favorite Black Francis songs certainly should qualify if Shuki had anything to say about it. I have some advice for Shuki. Stop complaining about cultural terrorism and start protesting the way your government is messing up the lives of its Arab neighbors. When the Pixies canceled their first-ever performance in Israel just three days before a scheduled June 9 gig in Tel Aviv, the veteran indie rock band became the latest in a string of acts to call off shows in the Jewish state. The Pixies' decision came a week after an Israeli commando raid on a Gaza-bound aid flotilla left nine activists dead and turned up the volume of international criticism of Israel's treatment of Palestinians in Gaza and the West Bank. U.K. acts the Klaxons and Gorillaz Sound System also called off gigs after the raid, while Elvis Costello and Gil Scot-Heron announced before the incident that they wouldn't play scheduled shows in Israel. The Palestinian Campaign for the Academic and Cultural Boycott of Israel, which since 2004 has called on artists, musicians, writers and scholars not to play or study in Israel' sees the recent spate of concert cancellations as the result of efforts to raise international awareness of the Palestinian cause, according to founding member Omar Barghouti, a choreographer and human rights activist. "The net result is raising awareness and exposing Israel for what it is: a colonial and apartheid state," Barghouti said in an e-mail interview from Jerusalem. "The 'brand' Israel has suffered as a consequence of ongoing campaigns of this sort, leading many artists to turn down lucrative offers to play Israel." Still, many top musicians have continued to perform in Israel. Last summer, Madonna and the Black Eyed Peas both played to sold-out stadiums. This year, upcoming gigs by Jeff Beck and Elton John remain on the calendar. Beck, John and their representatives declined to comment for this article. In a statement on his website, John said that music "builds bridges between people and I will continue to play concerts anywhere in the world where I can encourage that unity." 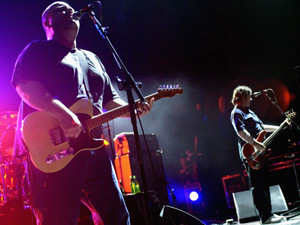 Some of the artists who've canceled gigs have refrained from explicitly condemning Israeli policies, with the Pixies saying in a statement that "events beyond all our control have conspired against us," while Costello observed on his website that "there are occasions when merely having your name added to a concert schedule may be interpreted as a political act." Costello and the Pixies declined to comment for this article. Cliff Chenfeld, the politically active co-founder of Razor & Tie Records, says he sees a level of hypocrisy in artists who've canceled concerts in Israel, noting that some have performed in countries with oppressive, non-democratic governments. One of the artists he works with at Razor & Tie, Suzanne Vega, performed in Israel last year and plans to return this summer. "When an artist like Elvis Costello' who people perceive to be a thoughtful, focused person' does that, it has a lot of consequences," Chenfeld says. 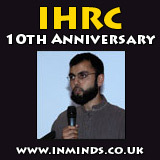 "He has a responsibility to at least be able to understand this issue and articulate his position. I think these artists have some responsibility to say what it is specifically that they think is so offensive that is going on." Aryeh Mekel, deputy director general of cultural affairs for the state of Israel, says that "art and culture should go beyond politics; that is the whole point of what they do' to unite people through their artistry and not to divide people even further." But Barghouti says he rejects arguments that music transcends politics. "Elton John was on the wrong side of history during the South Africa cultural boycott when he put interest over principles and played Sun City when hardly any self-respecting artist would do the same," he says. "He is choosing to do the same with Israel." Elton John's Tel Aviv concert was notable precisely because Israel seems to be losing the battle against the country's isolation worldwide, many in Israel, including in the country's leadership, have concluded that the war over world opinion is lost. Whist many performers like Elvis Costello, The Pixies, Gorillaz, and Klaxons have out of conscience heeded the Palestinian call for cultural boycott of Israel, writers like Margaret Atwood and Amitav Ghosh are deaf to it..